ryan writes: what makes a good cover? I must confess, that one of the things I'm most impatient/anxious for in the whole process of getting published is the cover of my book. Now that might seem a small thing, but if you think about it, covers can make or break a consumer's decision to pick up a book and look through it's pages. I must confess I've spent many hours inside Barnes and Noble, standing in front of the Young Adult section and picking out covers that I truly fell in love with! I'll share some with you now, and tell you why I fell in love with them. 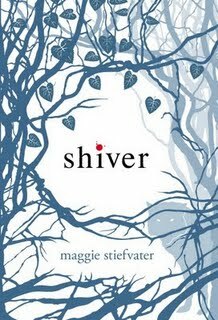 The cover for Maggie Stiefvater's werewolf novel Shiver is one of my favorite covers of all time. I'm a huge fan of abstract/symbolic covers, and I feel like this one does a perfect job of conveying the novel's feeling. It's a story that takes place mostly in the woods at the beginning of winter, so the blue branches and leaves are really good at setting the stage for this. I also really love the drop of blood on the i. It's so ominous. 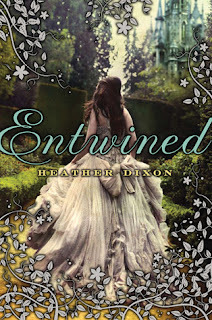 I must confess, I have not read Entwined, but this cover makes is really tempting! I love the foil leaves at the bottom that play into the title. The gown and the castle really lend to the fairy-tale feel that this book is going for. 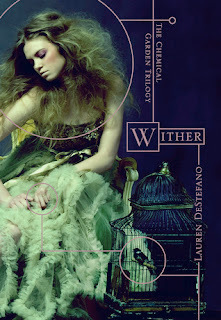 Another cover I fell head over heels with was the layout for Lauren DeStefano's Wither. I think this is another ballgown cover that does a spectacular job with conveying the novel's emotion (decay and sickness). The bird in the cage also gives such a strong sense of the entrapment the novel's main character. What really sold this cover for me was the geometry of the foil--it's circles and squares that give the cover such a modern feel (which makes sense, because the story is set in the future). This is another book I have not read, but my critique partner Kate brought it to my attention. Both the title and the layout are just gorgeous. The waves, the tiny symbols entrapped in them... Amazing. The last two covers are recent reveals for books that won't hit the shelves for several more months. But for some reason their covers really grabbed me. What really sold me with this cover was how well it plays with the title. 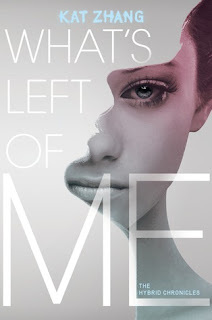 The sense of this girl being fragmented and erased is so strong in the image and the words over it. And this cover. THIS cover. *drools* Just. Just look at it. Obviously it's a story set in Russia (or a world very much like Russia). The colors and the typeset are just ominous and powerful.... So much comes across in such a simple layout (much like Shiver). I am definitely picking this one up as soon as it comes out! So, in summation, what do I like when it comes to covers? What makes a good cover? 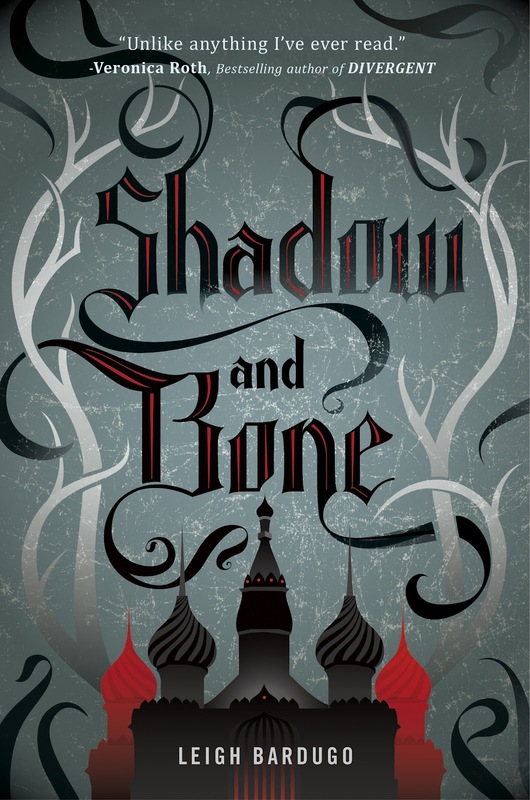 I love Shiver and Shadow and Bone's covers, but that doesn't mean I love every single cover that has graphics. 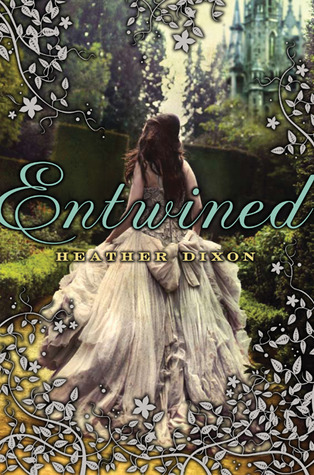 I love Entwined and Wither's covers, but that doesn't mean I love every single cover that features a ballgown. I love covers that capture and translate the feeling of the novel under their flaps. Covers that intuitively tell me what I'll be reading before I even open to that first page. What about you? What are some of your favorite covers? I'd love to see! I think my favourite cover EVER (at the moment!) 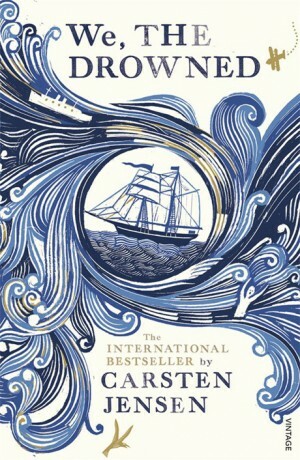 has to be the one for the UK edition of DAUGHTER OF SMOKE AND BONE. It has metallic purple and green feathers on it… I sat there stroking it for ages before I even opened the book. Really looking forward to seeing your cover, Ryan - it's so exciting, isn't it! I'd have to agree with you about the UK DAUGHTER OF SMOKE AND BONE cover. It looks really pretty online. Is it metallic? It's also really fascinating to see foreign covers and how different cultures effect different designs! Every Paulo Coehlo book I own was purchased for the beautiful photography featured. I also love his writing, but the covers are what got me hooked. Isn't the "We The Drowned" cover amazing? I'm kind of manic about it. I, like you, adore conceptual covers that encapsulate the feel of a story without overdoing it. Sometimes I think that the cleaner the cover is, the more arresting it can be to be bookshelf passerby. I'm not usually a fan of pouting princess covers, but I quite like "Wither"'s design... something about the lines and the covers. I think Emrys's skirts could make for an interesting cover. But we'll see! I agree, these are some of my favorite covers too. And I haven't heard of WE, THE DROWNED but it looks great! I know! I'd never heard of it either until I read about it on my CP's blog!